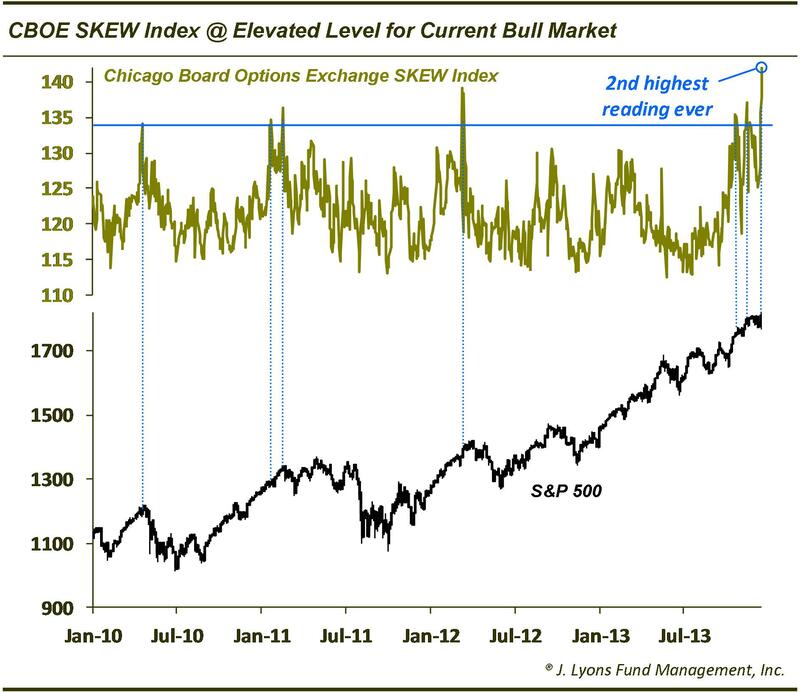 We see evidence of a ‘blow off top’ pattern. 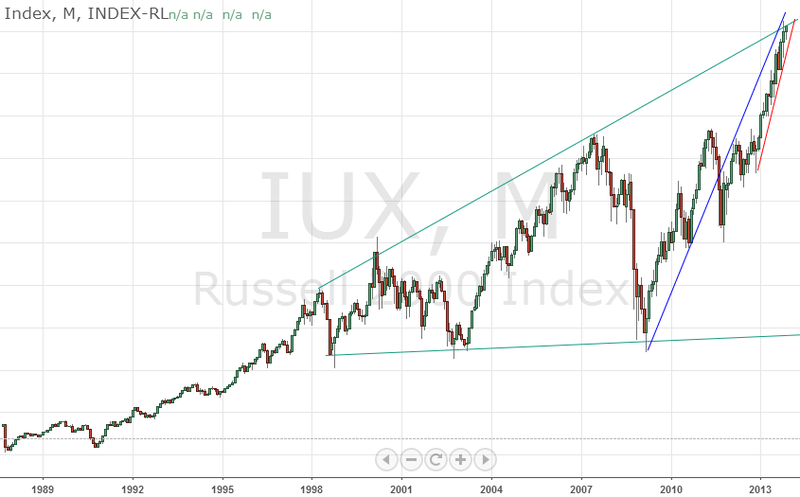 Parabolic shape on the indices long term view. Corrections increasingly shallow. 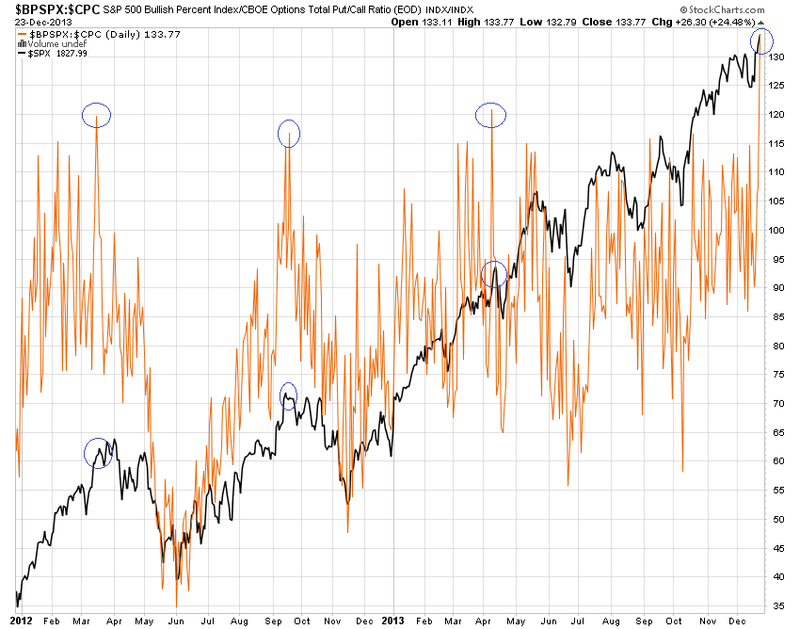 Permabears capitulating and converting to bulls. 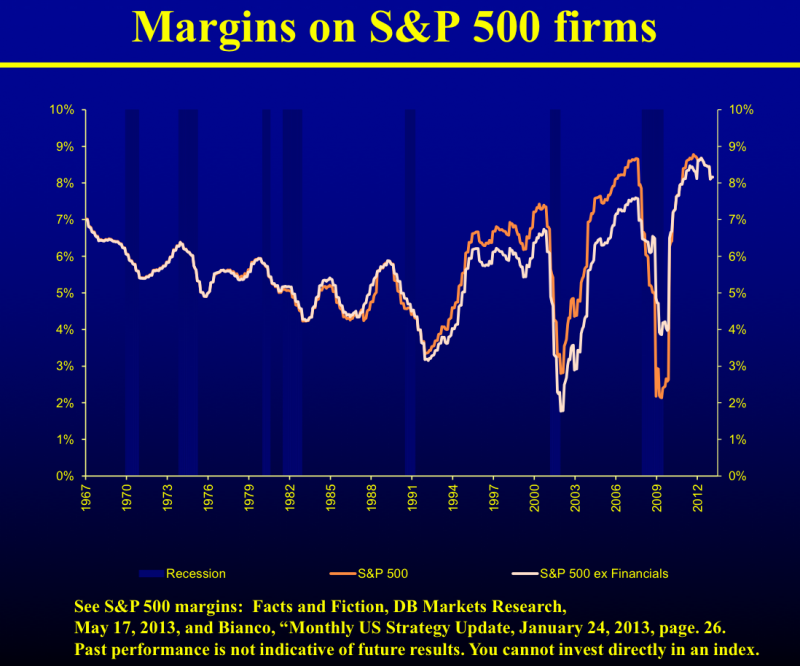 Perception market can only go in one direction. Euphoria. 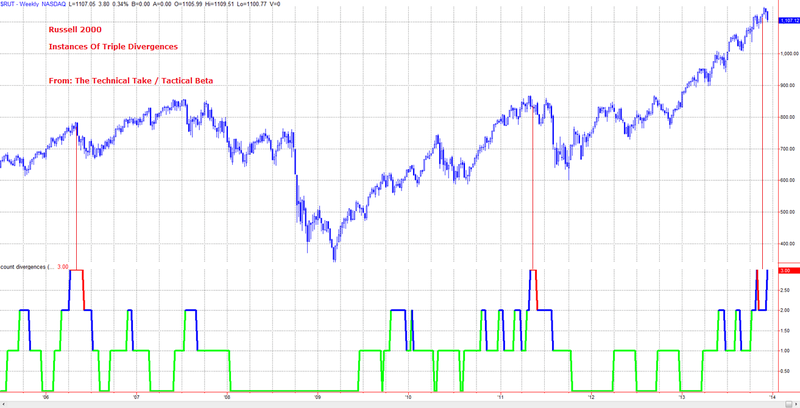 Blow off tops increase the likelihood of a crash, rather than a more leisurely ‘topping process’ range. 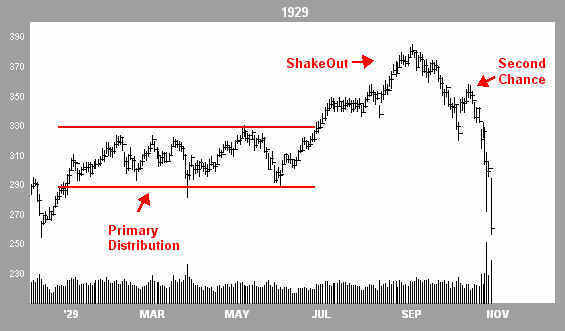 There are some well known examples from history, and they display a similar technical unfolding to each other. 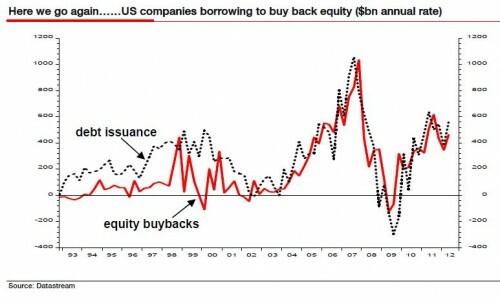 Source: Financial-Spread-Betting. 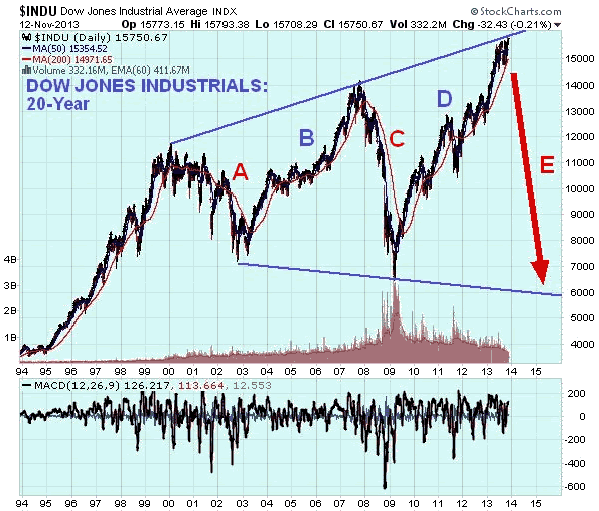 Their labelling, but others might recognise the pattern as a kind of wedge-overthrow-top, or a blow off top, where the final rally beyond the consolidation range is the blow-off part, characterised by euphoria and capitulation. 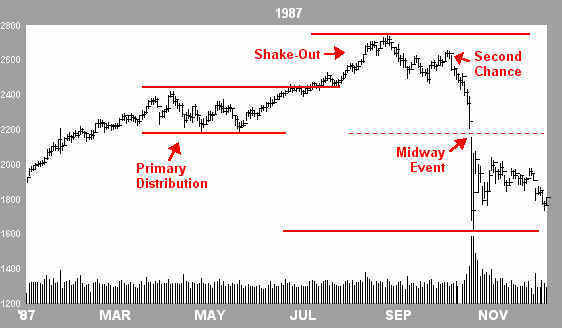 On a longer term view, we see a parabolic rise and collapse, but it’s in the Daily view action prior to the collapse that we see the clues in the pattern. 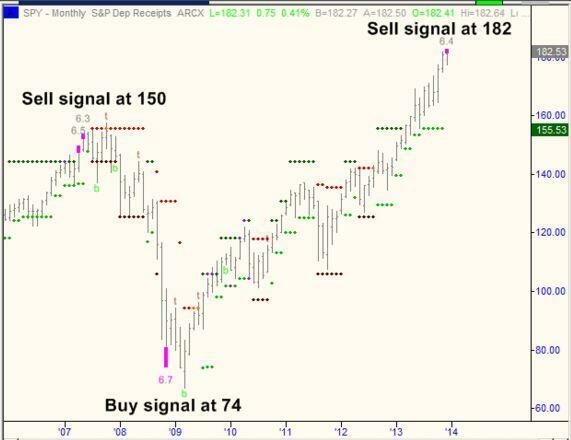 The pattern is there, the euphoria is there. 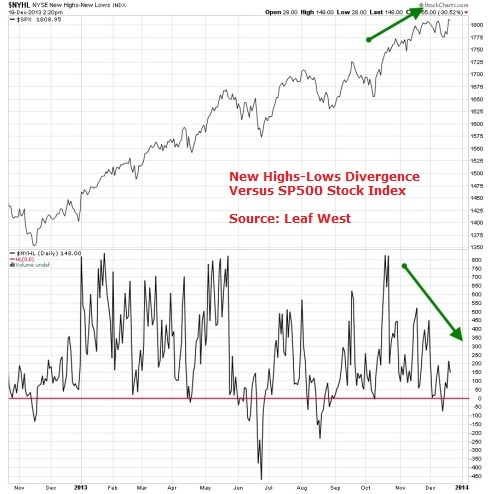 A little more breadth divergence would be more compelling, but this could potentially accumulate into the ‘second chance’ point. 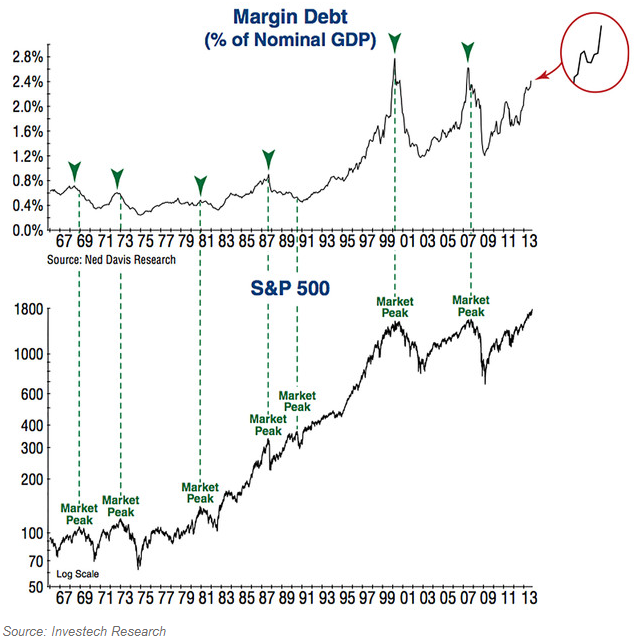 So increased chance of a market crash ahead, and if we draw on history again then the combination of a sharp sell-off together with the record high leverage extremes currently in play (margin debt, Rydex), suggest an episode of forced-selling and margin-calls similar to 2008 or 1929, where little will be spared. 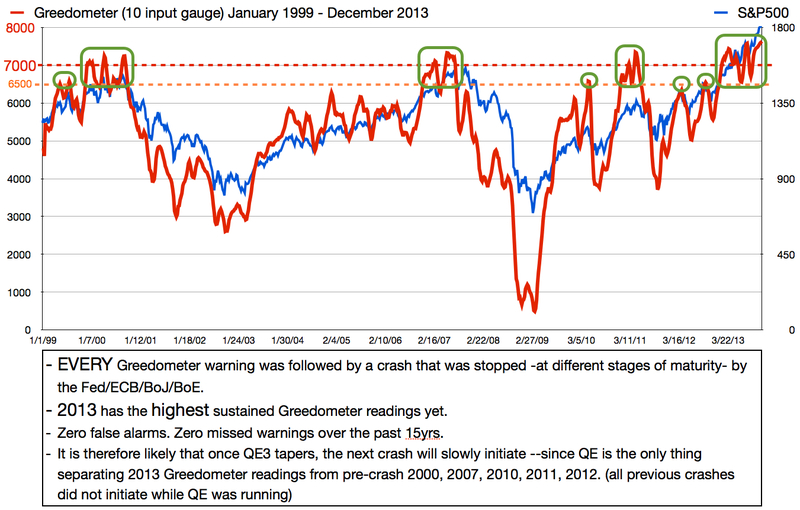 Here is the bigger picture for the 1929 crash. 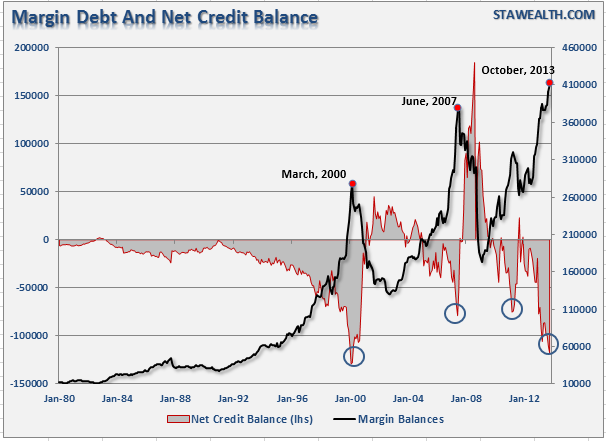 Note that all assets sold off together in the crash down to where I have marked a blue circle. 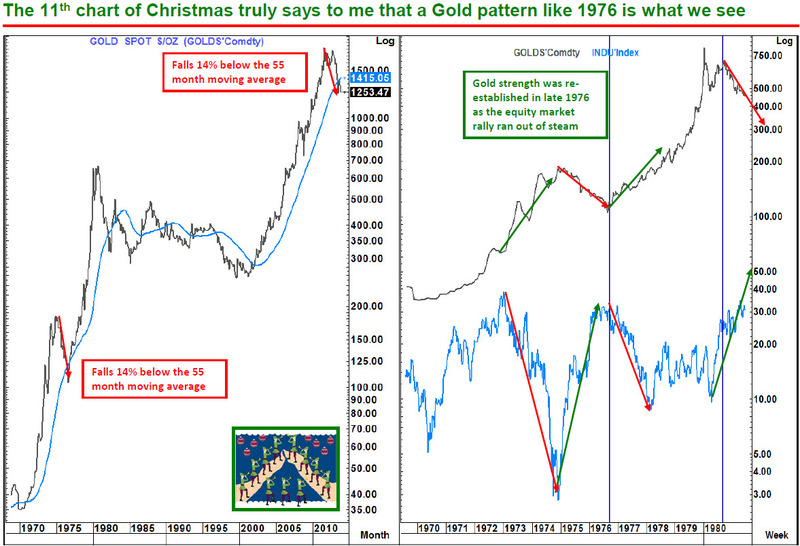 After that, gold stocks took off and diverged from the bulk of equities which progressed into a bear market. 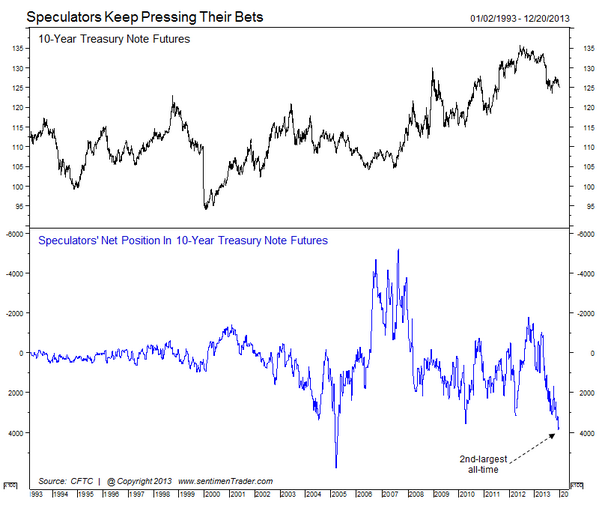 Therefore, although I expect precious metals and miners to return to a bull market as equities top out here, we have to be aware that a market crash could see EVERYTHING sell off due to forced redemptions (1929, 1987, 2008), before PMs can take off in earnest. 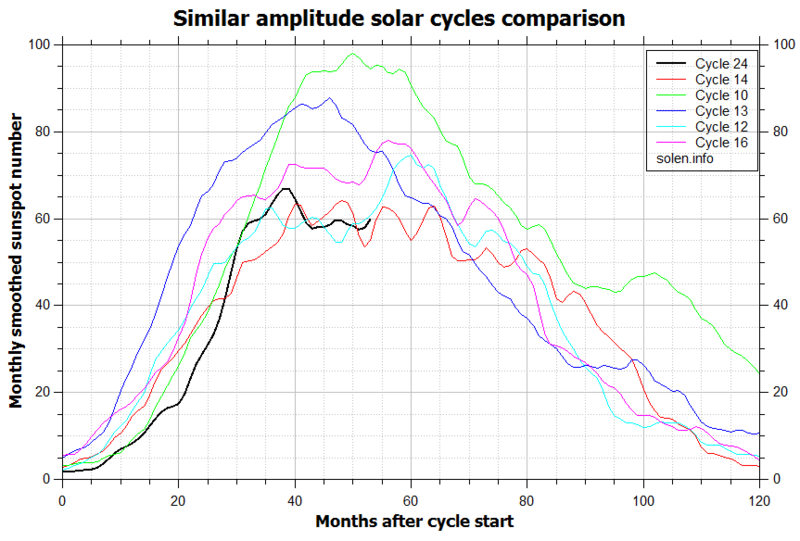 Solar cycle 24 is going to be flat-topped, making SC16 and SC14 most similar in progression pattern. Weaker solar cycles such as these generally produce less geomagnetism (geomagnetism being negative for risk markets), whilst flat-topped elongated peaks could produce a sustained period of sunspot-driven speculation (assuming sustained biological impact on humans). 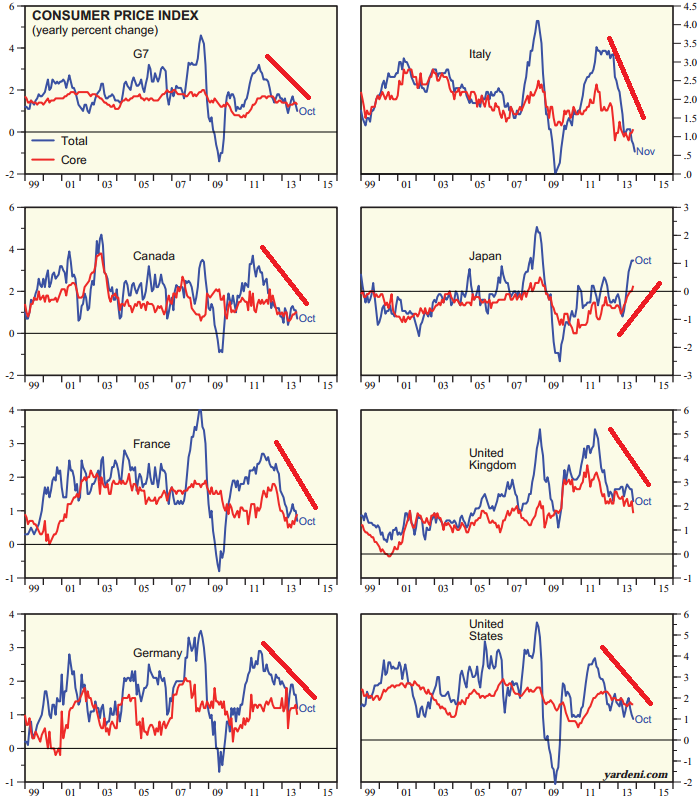 On the flip side, we might presume weaker solar cycles produce less human excitement/speculation overall, although markets history does not suggest so (correlating market manias with solar cycle peaks of differing amplitude). 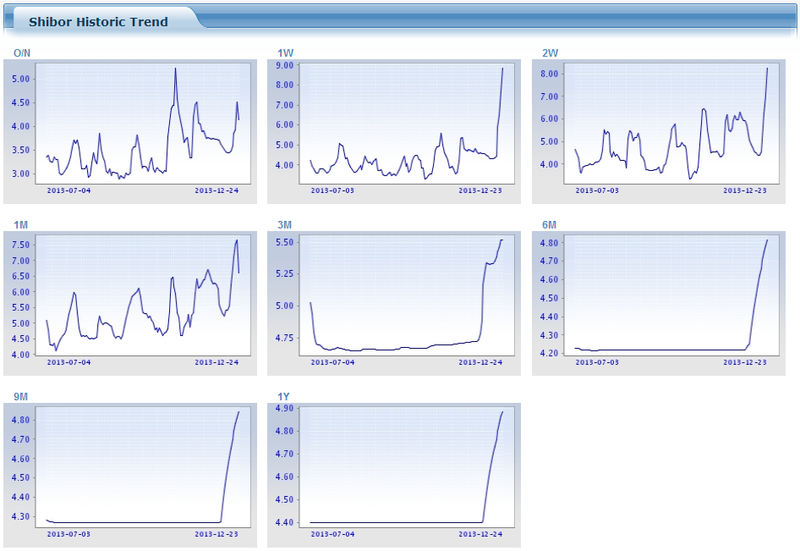 The source is Solen.info again and I have added the market peaks. 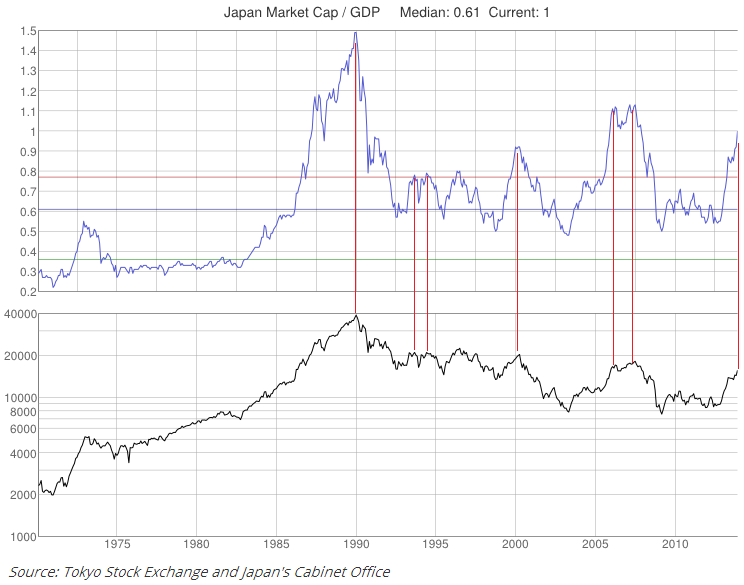 Solar cycle 22, whilst of bigger amplitude, also had a flat top from 1989-1991, and we saw Japanese stocks peak out in 1989 then Japanese real estate in 1991. 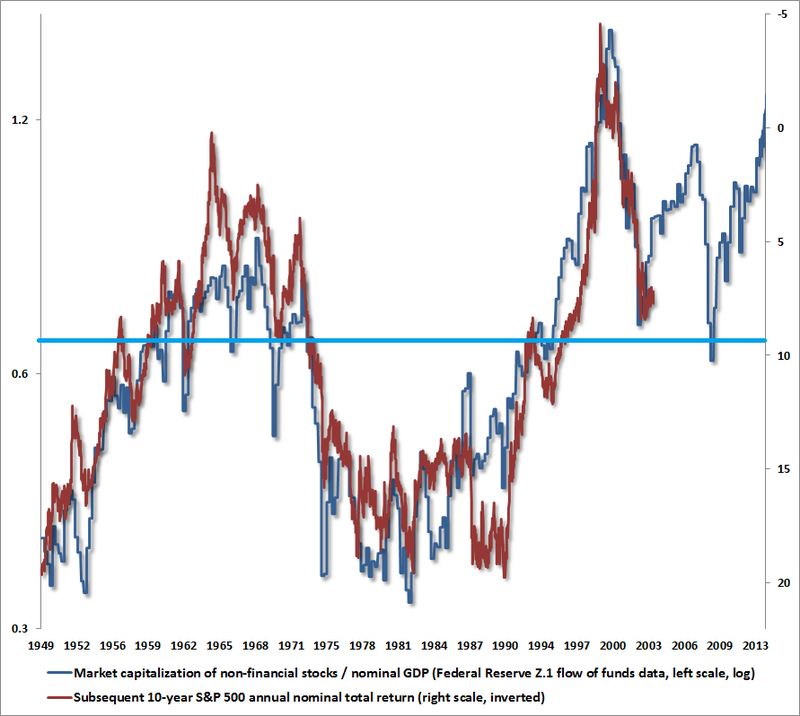 Solar cycle 20 was also flat-topped from 1967 to 1970 and we saw various markets peak out in turn in this window (as per my recent Solar Parabolics chart). 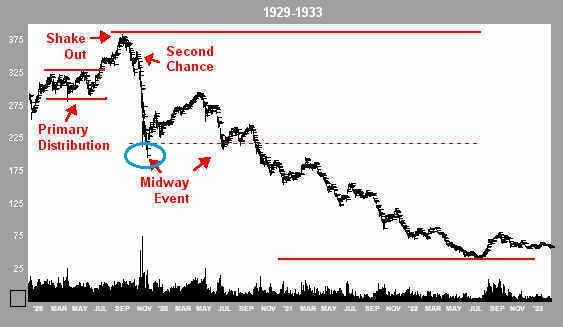 The Dow’s big bull market into 1929 largely ran from the beginning to the end of the flat solar top. Therefore, I am wondering whether there is something in a flat-topped cycle producing a ‘period’ of human excitement and speculation. Our current solar cycle, 24, is likely going to look flat-topped from 2011 to 2014 in retrospect. 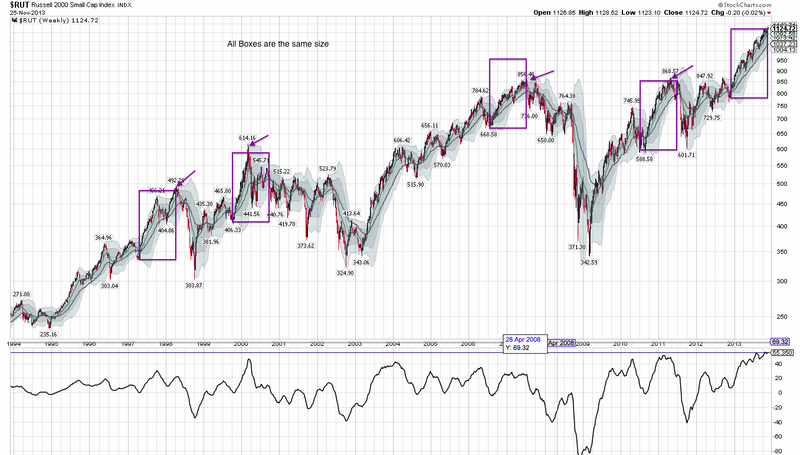 Commodities (by CCI index) peaked in 2011? 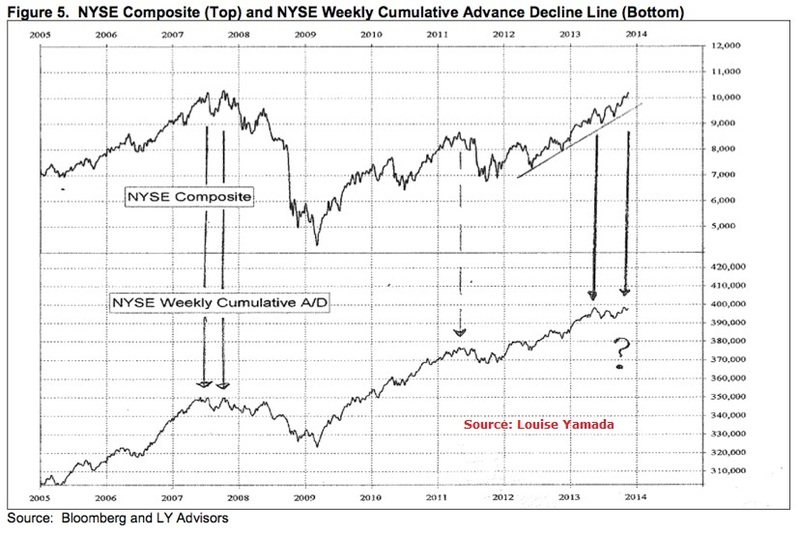 Equities to peak as we turn into 2014? 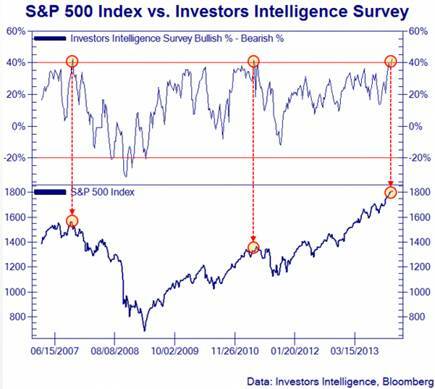 Both with bumper gains from the lows to the peaks. I previously focused on the correlation between smoothed solar maximum date and market peak dates, and occasionally there was a notable gap, but this is resolved if the ‘range’ of the solar maximum is considered, rather than just the smoothed peak. 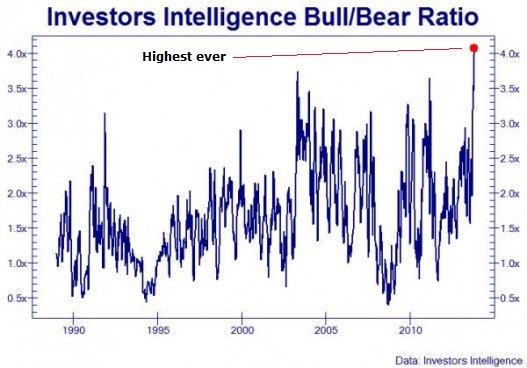 There’s also logical appeal of sustained human excitement whilst peak sunspots are sustained. Again, just speculation on my part, but we can expect solar cycle 24’s flat top to end by mid-2014, and I therefore suggest we could see one of two possibities playing out. 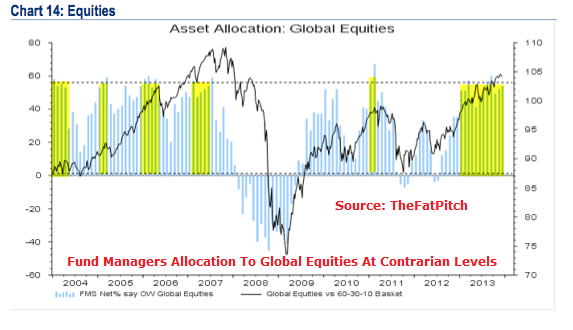 One, equities peak out within the next 6 months, commodities don’t come again, and we thereafter enter the typical post-solar-peak recession (deflationary). 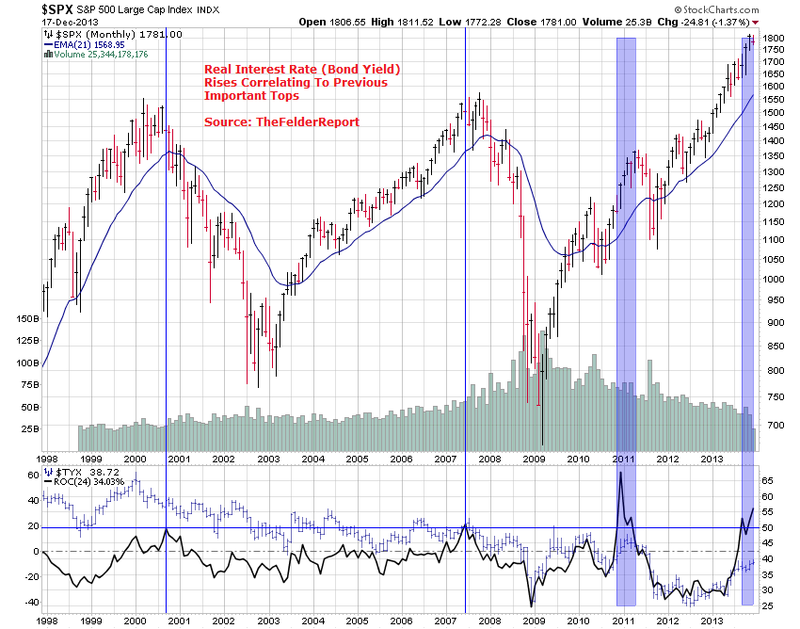 Or, two, equities are peaking now and commodities are breaking upwards out of their large consoliation triangles since 2011 to produce a typical late-cyclical final rally and help tip the weak economy into that recession. It’s just about the timing. Disclosure: I’m short already. 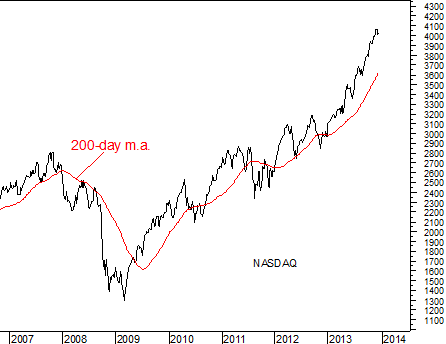 How much more parabolic can the Nasdaq go? I think it’s on borrowed time. 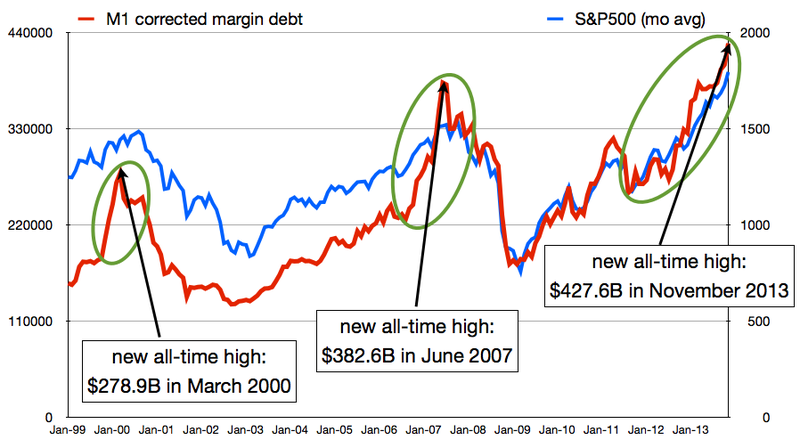 You know the dot.com bubble story: ‘regular’ valuations were dismissed and ‘ potential expectations’ became more important than profits. 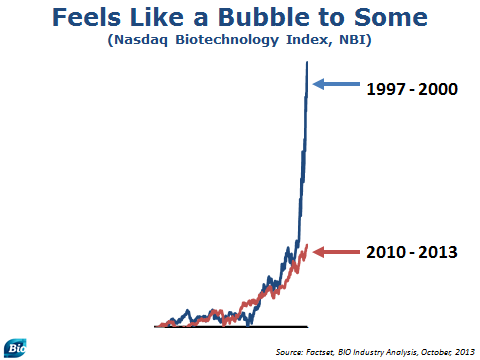 Biotech is largely a sector that always has to be valued on expectations – so the recent rally is speculative, but not (yet) to the craziness degree of 2000. 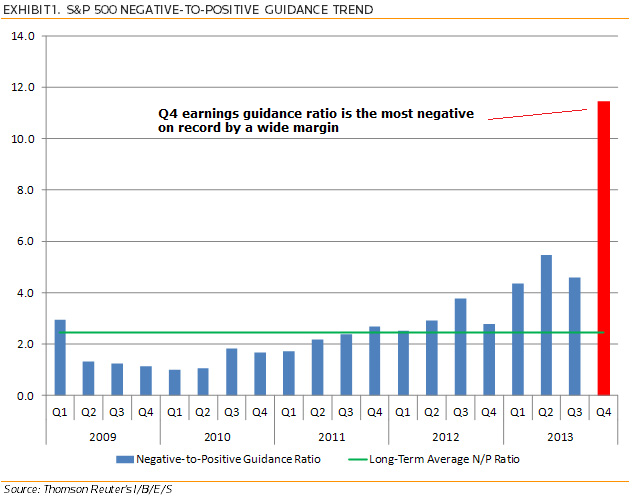 Another hot Nasdaq sector of late is social media. Twitter up 6% yesterday and valued at $28 billion – yet it has no profits and is not expected to turn a profit until 2015 at the earliest. Facebook is now the 8th biggest Nasdaq company by valuation but trades on a tailing p/e of 128 and a forward p/e of 44 – again ‘justified’ by expectations. Linked In is valued at $28 billion and trades on a trailing p/e of 911 and a forward p/e of 118. Up into 2000 we had a collective positive net investor demographic trend in the major nations aside Japan (first chart), i.e. a steady stream of new investors to the market. 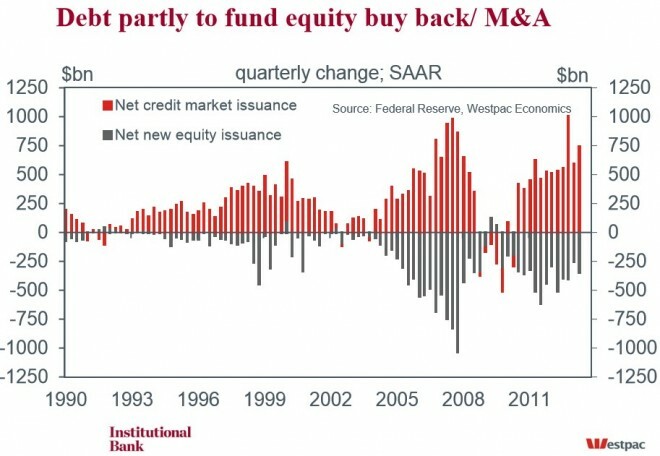 These investors then leveraged up to the max (second chart). 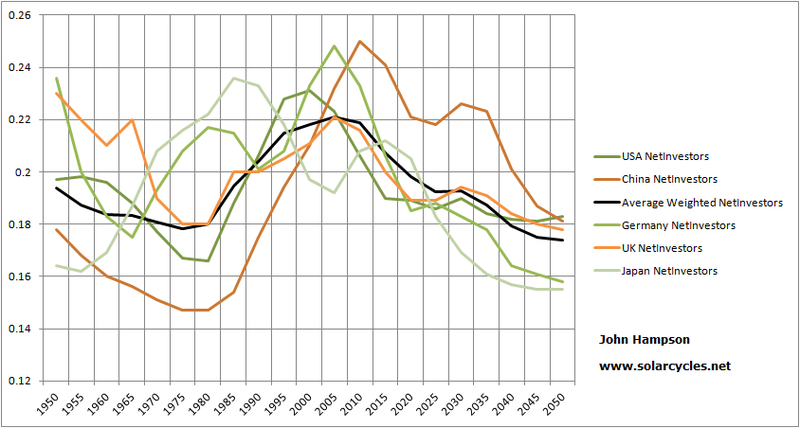 Demographics also accounted for strong global growth into 2000 and increasing trading volumes. 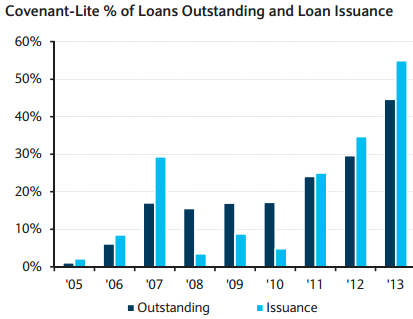 Here in 2013, we see the same extreme leverage levels have been reached, but demographic trends of this era mean there are a dwindling number of investors, and this is reflected in declining trading volumes. 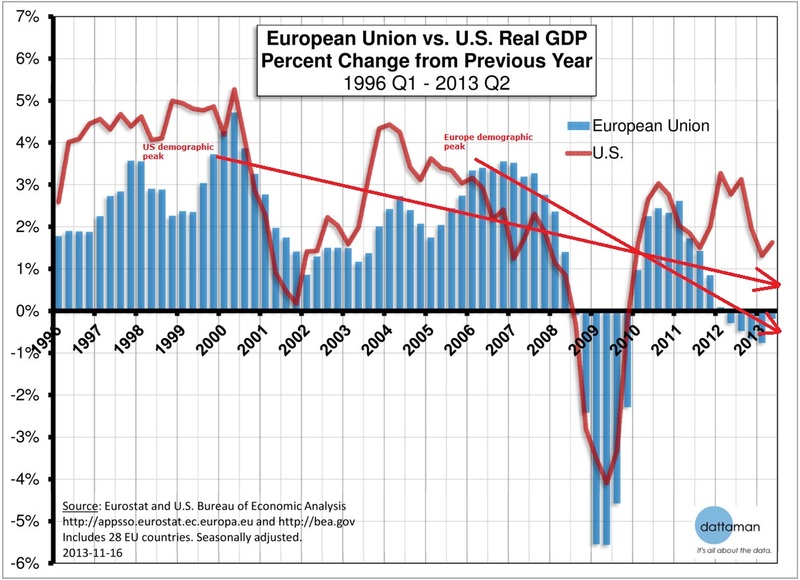 Negative demographics also mean this is a time of meagre economic growth. 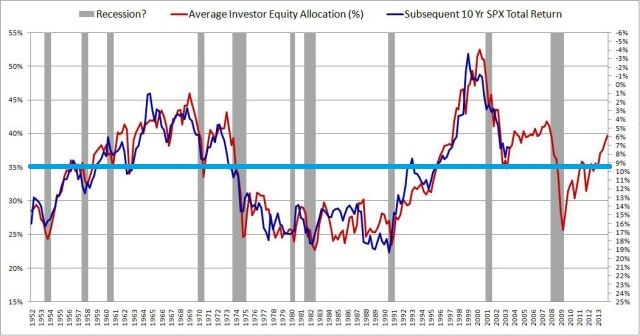 In short, a shrinking investor population who are ‘all in’ against a poor economic backdrop. 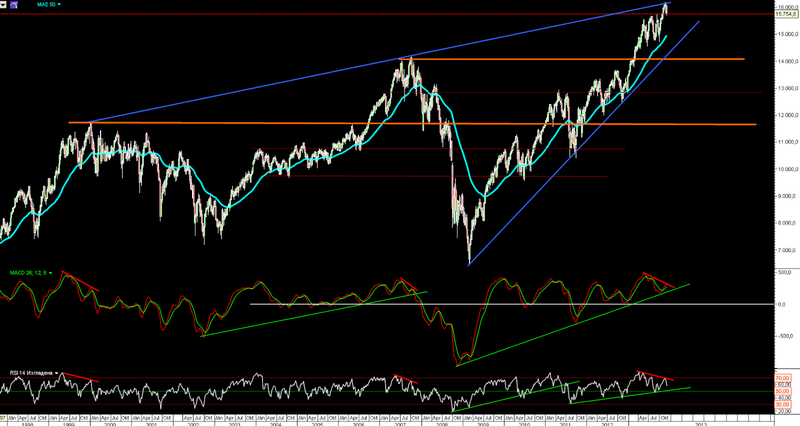 A last chart: the Nasdaq 100 in a tidy bull market channel since 2009 and a rising wedge over the last several months that looks ripe for resolution. 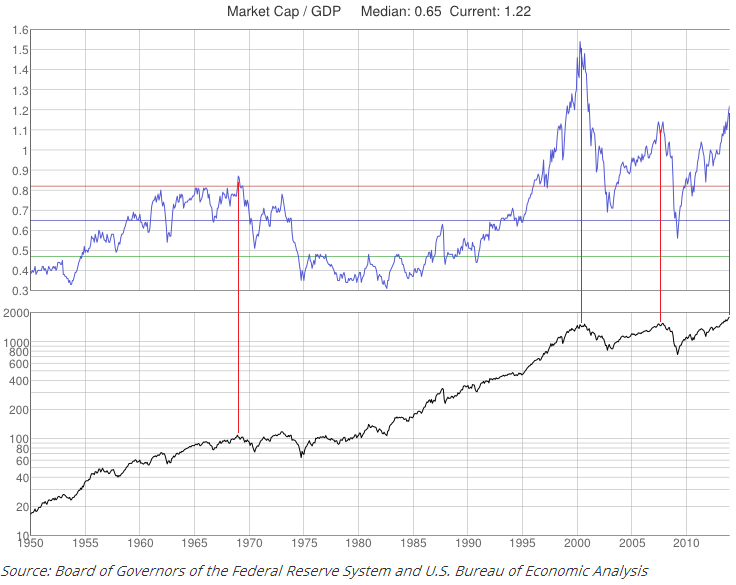 Neglected this parabolic in my recent analysis: the Russell 2000 small cap index. 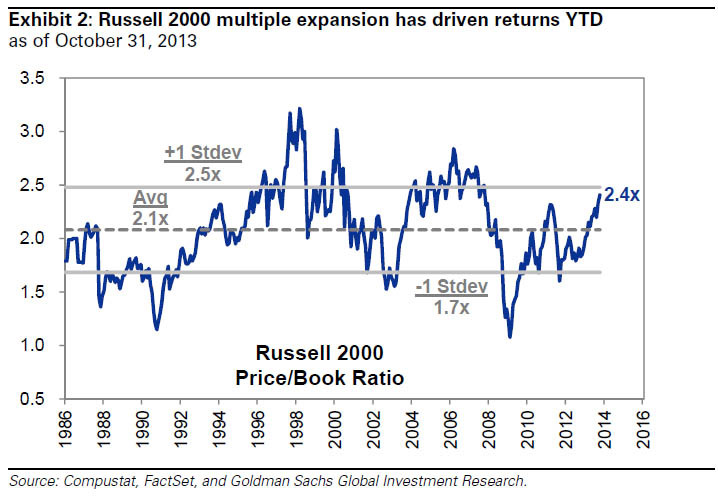 80% of this year’s bumper gains in the Russell are accounted for by the rises in p/e and p/b valuations, i.e. 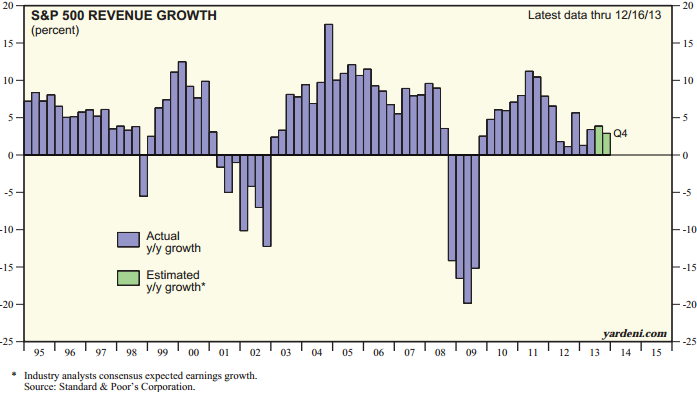 earnings have not increased, just price. 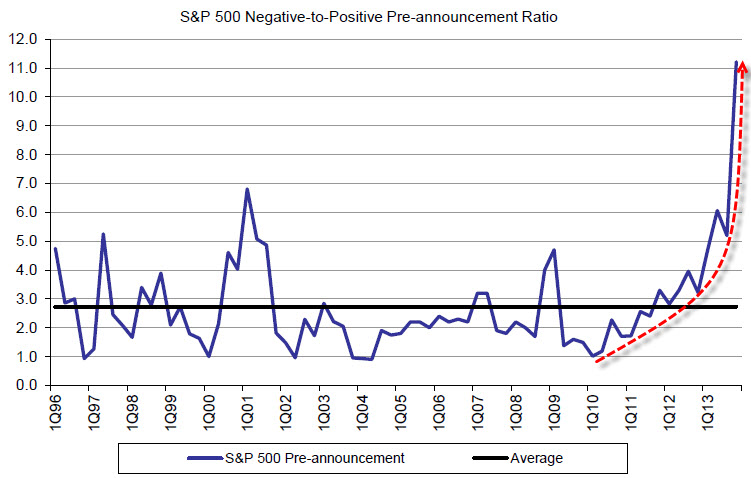 And by both measures, valuations are historically frothy – unless earnings rise by some ludicrous multiple next year. 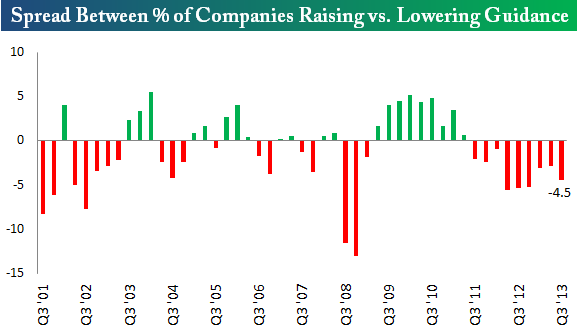 For now, safely in the middle of what is a narrowing channel, but small caps have notably been struggling more the last few weeks relative to large caps. 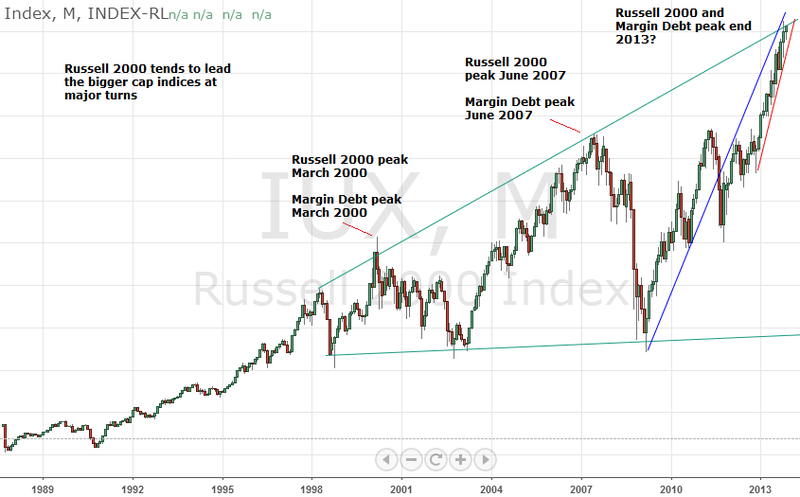 Disclosure: I am now short the Russell 2000.